ERP Pains | ERP the Right Way! During my career in ERP consulting I had several opportunities to be involved in deployment of emerging ERP products and services. As with any innovation rollout there are challenges to overcome and I had to learn how to quickly triage ERP projects for success. Troubleshooting an ERP project is more than just performing an assessment – it’s implementing a realistic action plan and making it work for all stakeholders involved. Following is a tested and proven approach to jumpstart stalled ERP projects. Too often I see project managers jump into the details (WBS, Risks, Issues, CPI, SPI, Cost) without first understanding the context. You cannot be perceived as a busy body looking for who dropped the ball. 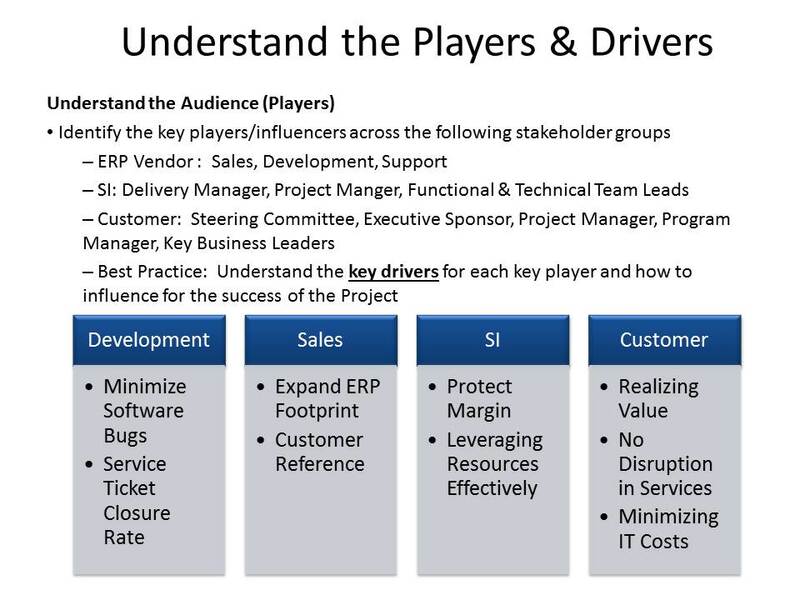 Vendors, Customers, and System Implementers are made up of people. People make mistakes – especially me. People don’t care what you know until they know you care. It will be people – not technology – that will play the biggest role in getting the ERP project back on track. Before hitting the ground running you first need to do your homework. 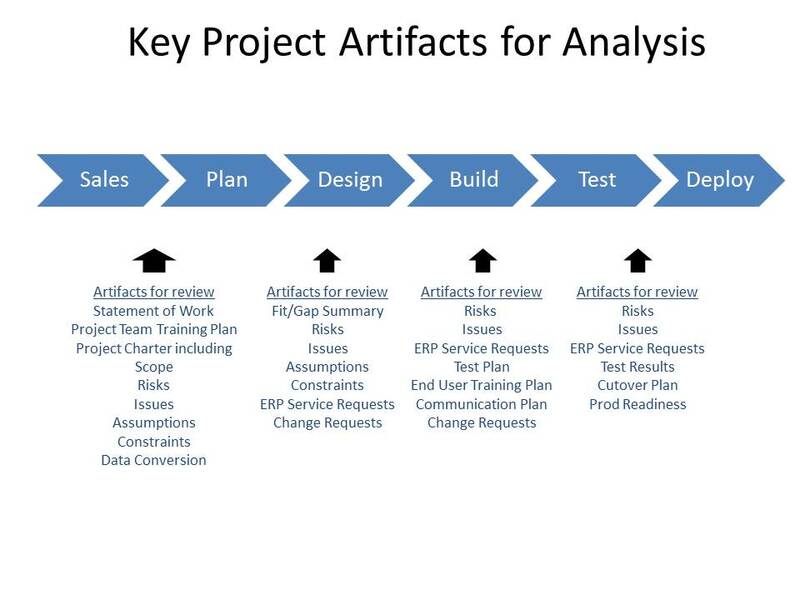 As part of an ERP assessment it is important to review the key project artifacts generated and updated throughout the project. This is the easy part and it is usually a simple process to review and evaluate. If a project scope statement does not exist or is not well-defined then chances are this absence is contributing to the problem. Creating or refining the project scope statement is a very small part of the action plan you need to execute. Now, let’s turn our attention to the implicit artifacts and information that are harder to identify and resolve. Understanding the fundamental drivers of your stakeholders enable you to relate, empathize and align the efforts of all project stakeholders. It is important to note that you need the efforts from ALL stakeholders for success – regardless of who is at fault. I humbly submit that it is extremely rare when a single stakeholder is responsible or is at fault. On the flip side it is even more extreme to have a single stakeholder solely responsible for saving the day. Create quick wins. Triage is required to stop the bleeding. You need to quickly seize the initiative and create positive events. Attack problems from multiple angles. If you have one approach get stonewalled you still have other ongoing activities to continue the march forward. This means that you have contingency plans in flight. Be aggressive. Triage is not the time for lessons learned. There will be opportunity for reflection after the immediate problem(s) have been addressed. Problem solving is not about assigning blame. You need every individual to have laser focus on resolving the problem and not on how to protect them own interests. All stakeholders must be willing to stretch outside their comfort zone. Customer and vendors limit their response based upon contractual arrangements. Partners think outside the box for mutual success. There is a fair amount of information available in books, articles, and blogs related to avoiding ERP problems and I agree that you should take reasonable steps to minimize known ERP problems. However, I believe that it is prudent to be prepared for the “unknown unknowns” that always occur with any ERP project. 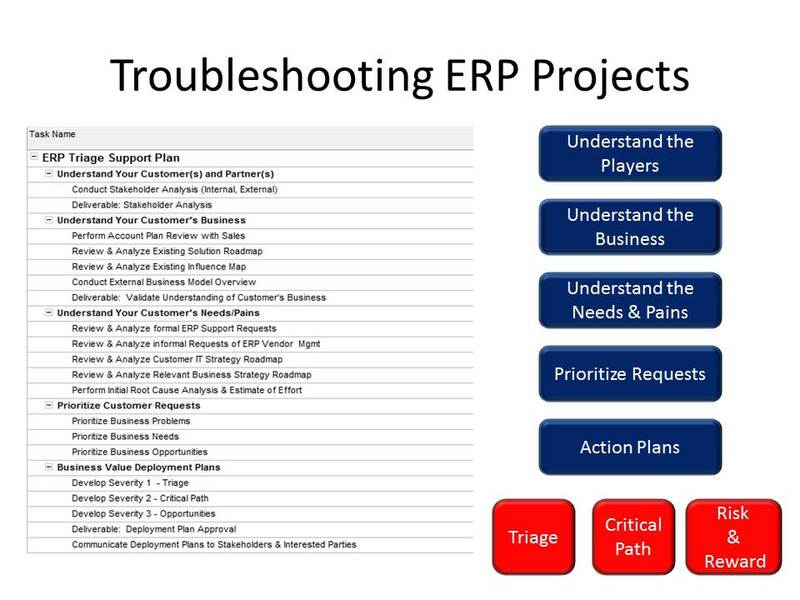 Troubleshooting ERP projects require process knowledge of project management fundamentals, problem solving techniques, and most importantly – perseverance. Just like the rudder steers the ship, finding small success(es) can get your ERP project back on the path for success. With the initial release of ERP, one of the key “game changers” was the ability of business users to access data and generates reports without direct IT involvement. 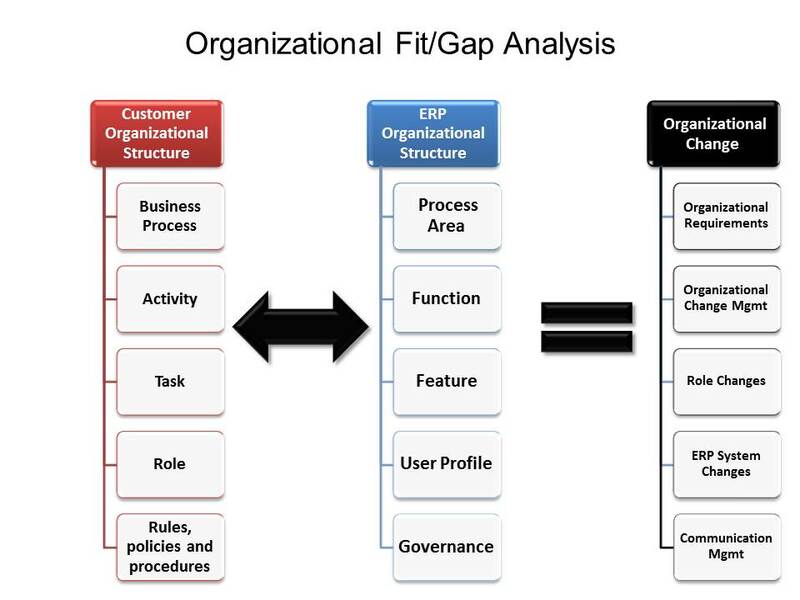 This empowerment of the business user had a significant impact on business agility. Today, we continue to see ERP vendors focus on providing business-friendly tools for reporting and analysis. Yet, I can see a new evolution brewing in the ERP industry what I like to call “Adaptive ERP” where business users can perform on-demand actions to meet business changes real-time. 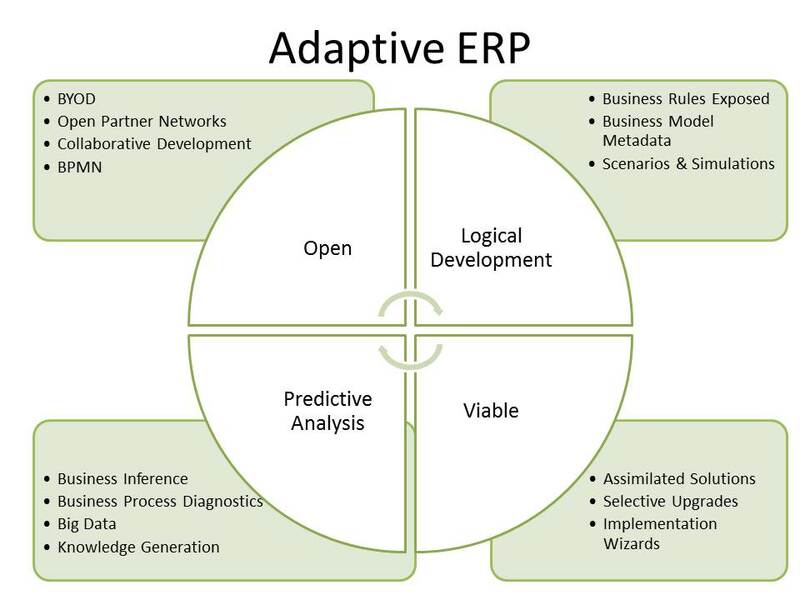 In the next sections we discuss the key capabilities of Adaptive ERP and a practical assessment of where the ERP industry is today. In general, the greater the number of individuals involved in a project the greater the coordination/communication effort resulting in a greater time commitment. Enabling business to become agile will require an evolutionary change in how ERP supports business activities. However, simply removing people out of the equation is not the answer. What is required is providing business owners the tools and experience required to become more self-sufficient. 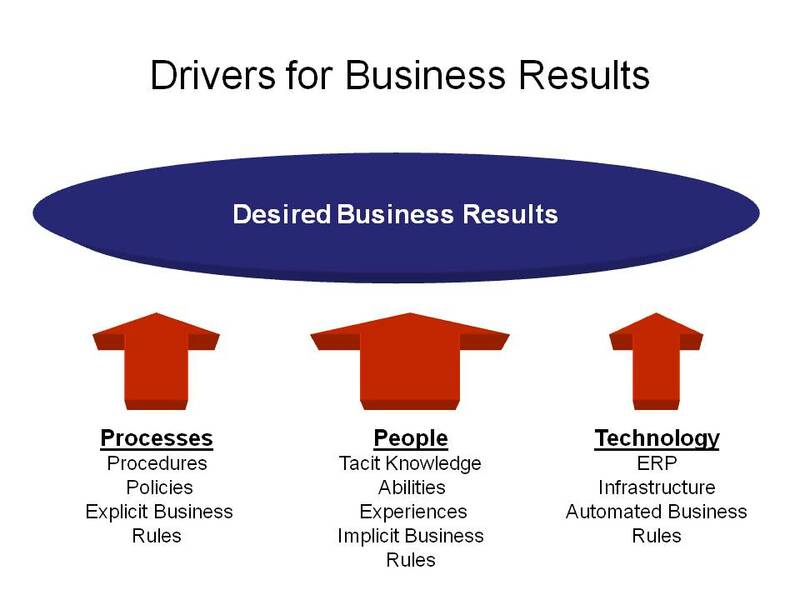 Business models must be defined as metadata within the ERP software. Business rules are separate from technical components and are exposed directly to business users. 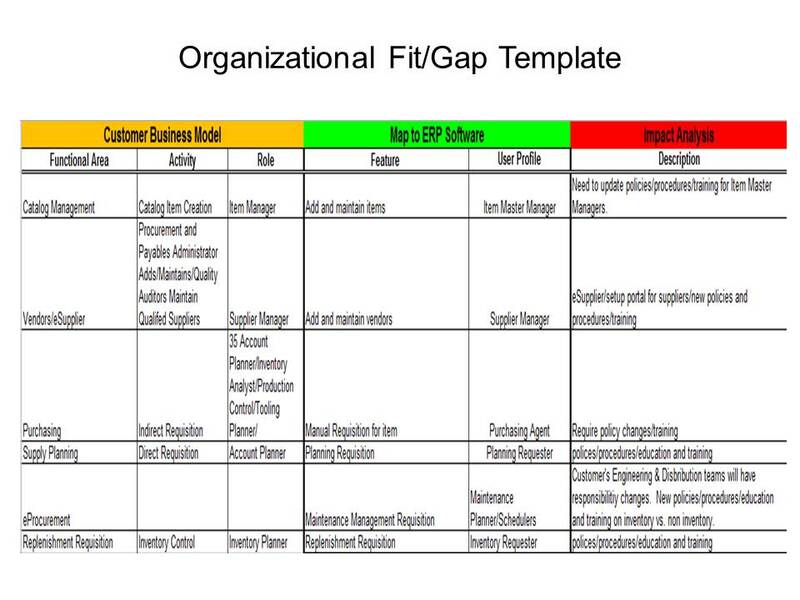 Business scenarios are defined separate from the respective business models. 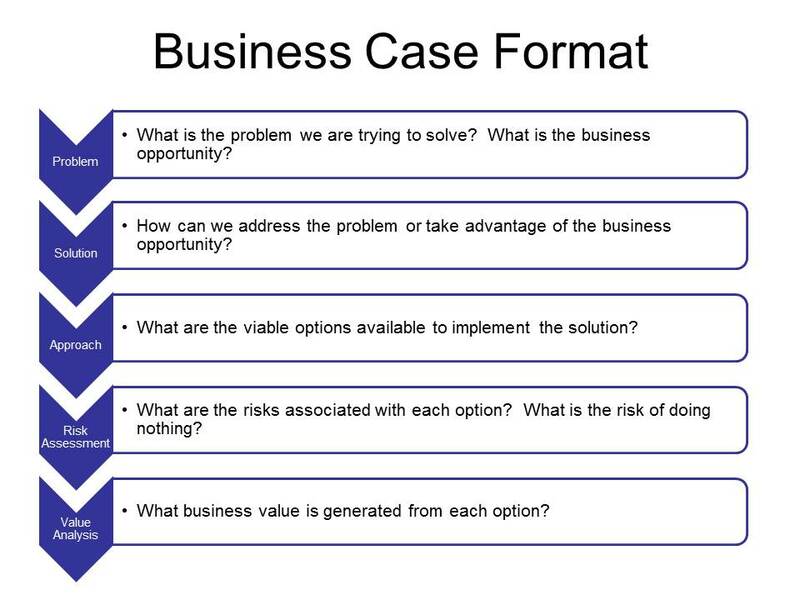 Business exceptions are variations to a specific business scenario. Automated unit and system testing (self-learning via business model metadata). Automated business process test scripting. Test scripts are a results-oriented view of business requirements. Automated impact analysis with logical development change. Business users should be trained in logical and structured thinking. There has to be a prescribed process to effectively conduct knowledge transfer with the ERP software. Business users should be able to directly educate (i.e. configure) the ERP software on how they run their business. 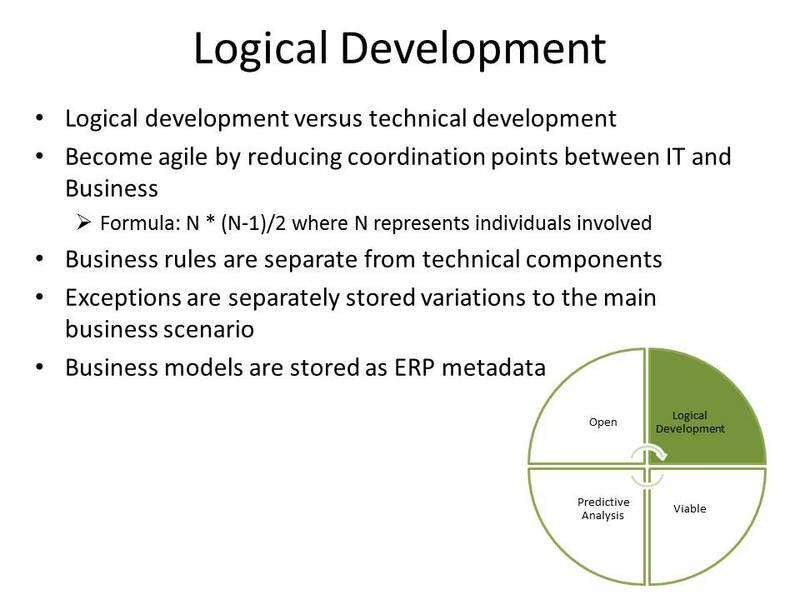 Remember that a key value proposition for ERP is to reduce software development. This is not an argument to eliminate IT but rather to refocus IT from tactical support to strategic activities. IT will play a very important role in enabling business users in logical and structured thinking. Today, there is interest in Big Data and Enterprise 2.0 technologies but they are not the final destination. 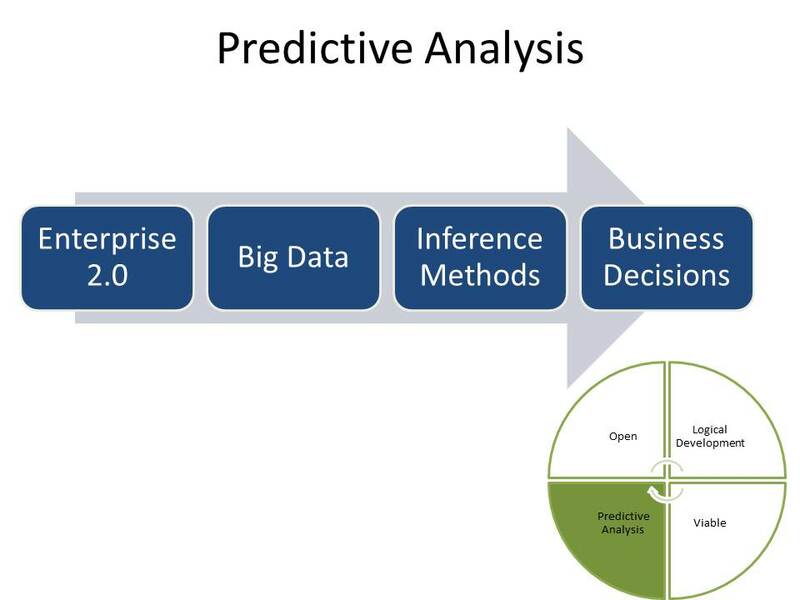 Case-Based Inference will provide recommendations based upon data and transactional patterns. Rules-Based Inference will provide tactical, operational decision support based upon standard business principles. Big Data will facilitate the assimilation of structured and unstructured data to identify patterns and provide operational context. Collaborative ERP 2.0 will support collaborative discussions and provide transactional context for decision support. Advancements like this in analytics will enable business users to focus on the value-add activities of reviewing analysis and drawing conclusions for effective business decisions. BYOD (Bring Your Own Device)will enableemployees are able to bring their own computing devices – such as smartphones, laptops and PDAs – to the workplace for use and connectivity on the corporate network. BPMN compliance will ensure that ERP business process definitions will agree with business process definition standards outlined in the Business Process Modeling Notation (BPMN) model. This model is governed by the Object Management Group (OMG). In my humble opinion, the OMG is in the best position to define a global standard for business process models. This advancement will be a key enabler to the holy grail of true enterprise system interoperability. This is no small task and will require significant market demand to promote this standardization initiative. Collaborative Shared Development is a key benefit of an open community. Sometimes it takes a village of developers to support an ERP solution. Today, I can go to the Apple App Store to purchase an app for my iPhone. In the future, we should see an ERP App Store when a customer or an individual business user can download an object (software, report, role-based feature) to customize their ERP experience. Open Partner Network. The more integrated your ERP is within your business value chain (suppliers, vendors, customers, providers) the more powerful your ERP system can be. I expect we will see the ERP market put more value in delivered integrations with partner, supplier, and provider networks over software product features. SOA will be a key enabler for making open partner networks a reality. Openness is about creating flexibility and the freedom for a customer to respond to the changing business environment in the most effective manner. A profound lesson I learned the hard way is that regardless of how many features and products an ERP vendor can provide (even for free); it will all be all in vain if the software is unmanageable. It is unacceptable that a customer has to pay triple and even quadruple the original software cost to maintain their ERP investment. Some may argue that ERP vendors have not acted in the best interest of their customers by building features upon features without providing tools to significantly reduce the Total Cost of Ownership (TCO). Automated master data management (information awareness tools). Eliminate the need for multiple instances. Assimilated, holistic solutions– loosely coupled point systems will not work and result in greater costs and possible failures. Upgrades/Software Maintenance releases included the test cases and results performed by the ERP vendor. Predefined business needs assessment questionnaires to determine feature utilization. Configuration sequence and data capture. Delivered data scrubbing and data conversion tools. Software architecture can support either single or multiple tenants. On-Premise, Hosted, Public Cloud, Private Cloud for either applications and/or data. Example: Customer decides to store mission-critical data on-premise and internal data on the public cloud. It should no longer be acceptable that an ERP customer has to totally shoulder additional implementation and upgrade costs. This is not indicative of a true partnership. Today, we continue to see a consolidation of the ERP industry. With these acquisitions some ERP vendors provide some limited capabilities of Adaptive ERP but these capabilities are spread across multiple software products and platforms. An ERP solution is only as strong as its weakest link (integration). More technologies loosely coupled together usually mean (a) more IT resources, (b) additional points of failure, and (c) a more complicated experience for business users. 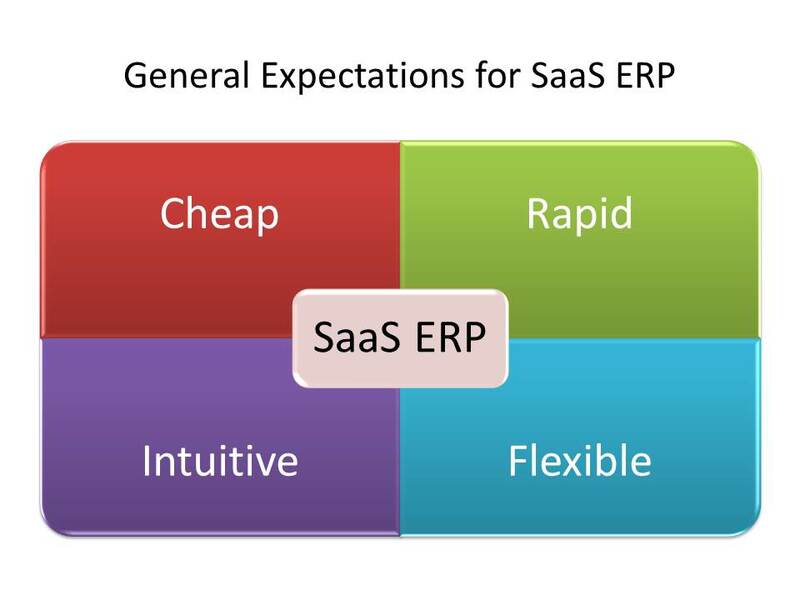 We have witnessed where ERP software has become bloated with features upon features without any logical progression. ERP customers are forced to deal and pay for unused features resulting in more frustration than simplicity. Many top-tier ERP software solution packages use a systems configuration concept to set up the business environment for some time but please allow me to challenge the industry a little more. I agree that several ERP software packages provides configuration concept yet there is no clear decrease in implementation schedule (ex. SAP) or cost savings associated with this approach because the currently exposed configurations do not change that frequently (ex. Earning Codes, GL Accounts). Objects like business rules, scenarios, and exceptions change more frequently. This is a challenge for some ERP software (ex. PeopleSoft) where many business rules are encapsulated within the technical object. Pre-configurations are only a beginning – it adds value in the short-term but ERP is a long-term proposition. In my humble opinion, the key is to expose the underlying business model to business users for greater real-time interaction. Also, there are Master Data Management (MDM) solutions available to support a tactical level of data governance by removing duplicates, standardizing data and, incorporating rules to eliminate incorrect data from entering the ERP system. 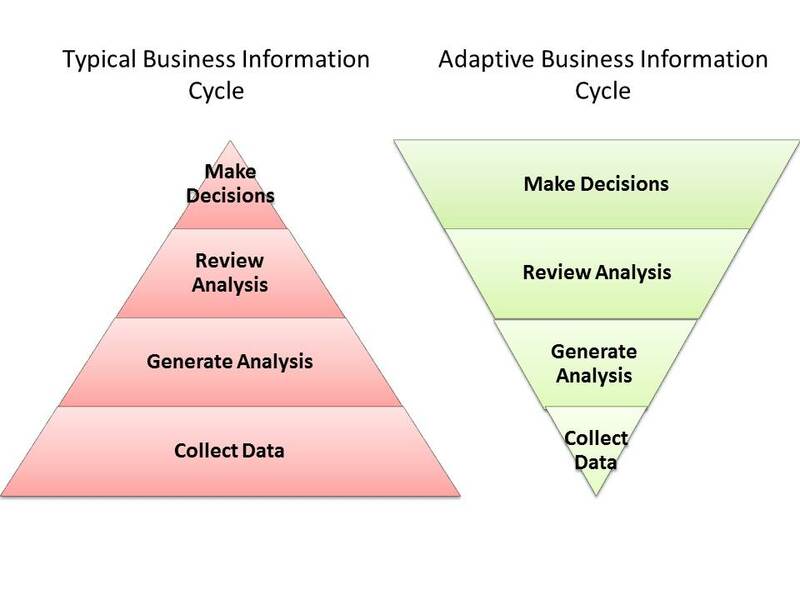 For Adaptive ERP, MDM must advance in what I call “information awareness”. Information awareness means two things (1) MDM is able to automatically detect and define new information sources within the enterprise ecosystem via data polling, and (2) MDM is able to determine how data is used. These capabilities will be key enablers for automated impact analysis. What we need to have is a mature, open, holistic solution where all the individual software platforms are assimilated into a robust, uniformed solution. This is not simply building a dashboard that brings together two separate user sessions together or an orchestration level that adds another level of technology abstraction and performance overhead. A viable solution is a manageable solution. I’m a firm believer in performing non-competitive business activities as competent and cheap as possible. In that end I am a firm believer in ERP. However, the ERP industry has come up short in the areas of total cost of ownership and business adaptability. Many on both sides of the aisle have wrongly concluded that more software features and increasing the technical stack are the answers for making ERP adaptable. Putting more power in the hand of business users is the strategic answer for business agility. People are the most important and adaptive component of a business solution. Instinctively, we all try to avoid or minimize pain. 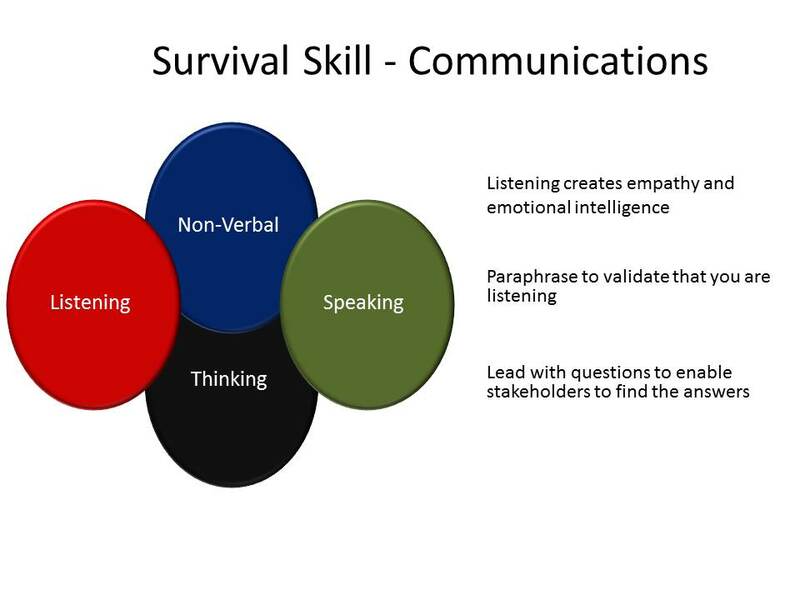 This is true for individuals as well as business organizations. However, in our attempts to reduce pain, we too often focus on eliminating the symptoms without addressing the underlying root cause. We may feel temporary relieve but our short-term decisions only lead us to a point were the pain resurfaces and the available options to address the pain become more limited and costly. In the next sections, we will discuss how to address business pain by effectively utilizing your existing ERP investment. Following is a standard problem-solving approach as defined in the Project Management Institute’s Body of Knowledge (PMBOK). Seems easy enough! 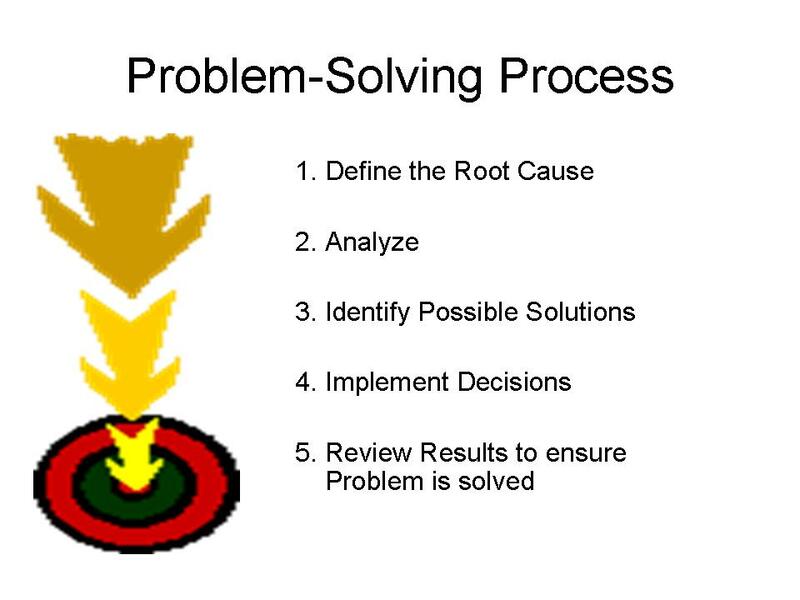 The challenge I’ve observed is that many organizations do not execute the problem-solving process effectively. To compound this challenge many customers believe that having an ERP system somehow accelerates or simplifies the problem-solving process. Following are some of the common misconceptions that cause ERP customers to miss the mark in solving problems. 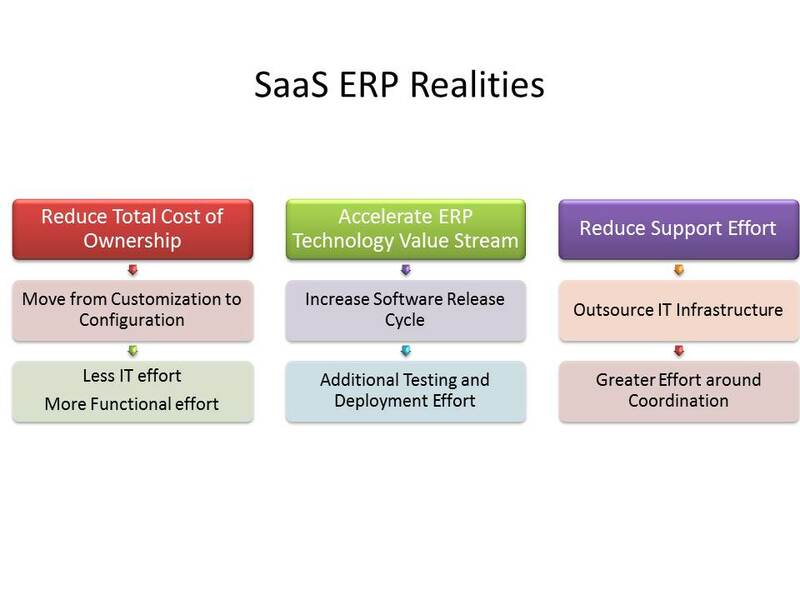 The misperceptions and inappropriate expectations surrounding ERP can cloud your view of the real problem. However, the greater hindrances to effective problem solving are the views that (a) pain is bad, and (b) quick-fixes are more desirable (demanded) than permanent solutions to business problems. 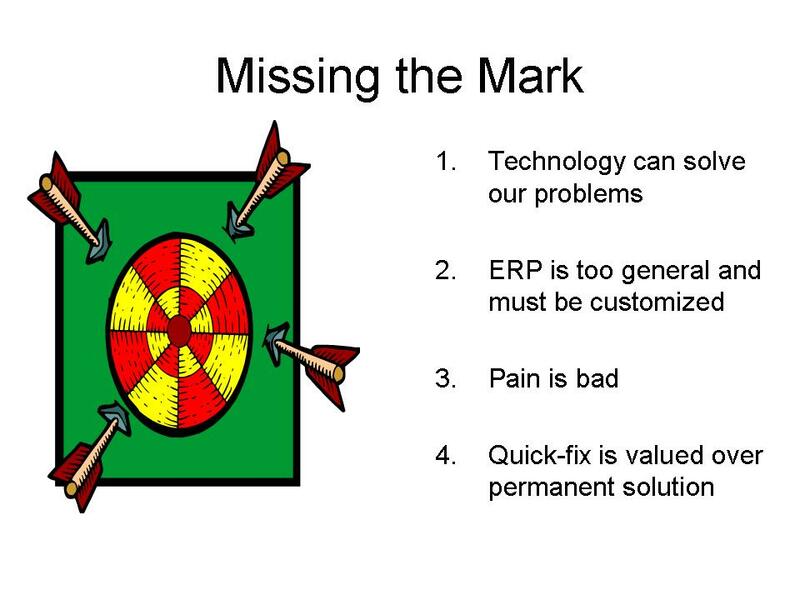 For an ERP perspective, the typical end-result to quick fixes will be more customizations. Greater customizations result in less flexibility and more costs. If unchecked, your organization can build band aid fixes on top of one another,which may ultimately result in a catastrophic event. The key to eliminating this quick-fix mentality is to change the perspective of how pain is viewed. My daughter loves to play volleyball. Recently, she has experienced some pain with her ankles as well as experienced some falls that caused my wife and me to have concerns. I suspect that I’m a little over-sensitive given that our daughter has Type-1 diabetes. We took our daughter to see a sports physician specialist to identify the problem. “Your daughter has a good problem to have.,” said the specialist, “she is still growing! Your daughter is still figuring out how to coordinate her changing limbs.” Whew! What at relief yet what a good life lesson. Too often, organizations can’t see past the present pain. We focus only on the symptoms (negatives) without looking for the opportunities (positives). Many times, IT organizations are motivated by addressing problems by taking a “triage” or ‘fire-fighting” mentality. IT performance metrics can support this mentality if the focus is only on cycle-time and response-time metrics. Don’t get me wrong, if a production system goes offline unexpectedly, you can bet that a quick response is warranted. 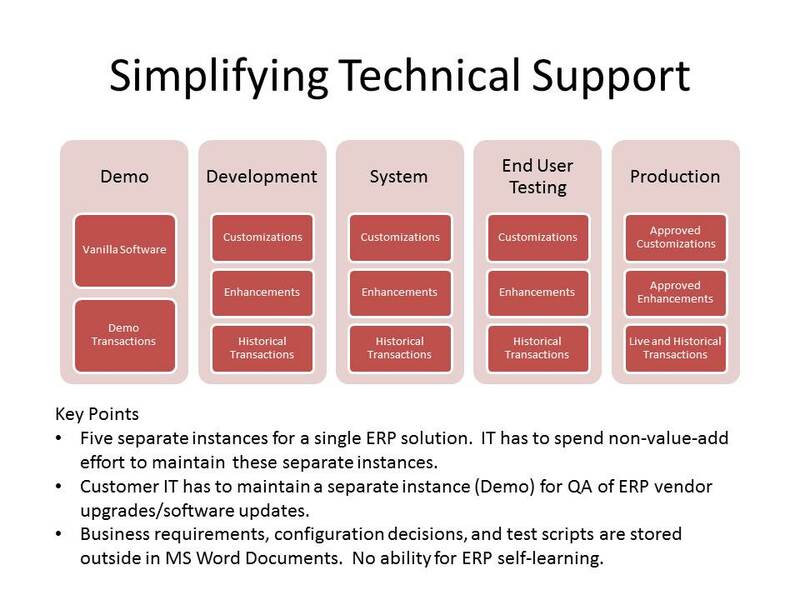 A red flag to look for is when ERP support problems are seen as an inconvenience rather than an opportunity. This can be especially frustrating to IT when the problem is a recurring issue. When viewed as a hindrance there is the natural human tendency to deal with the issue as quickly as possible to move on to the next problem. To get out of the above support rut first we need to eliminate or minimize reoccurring problems through effective problem solving. 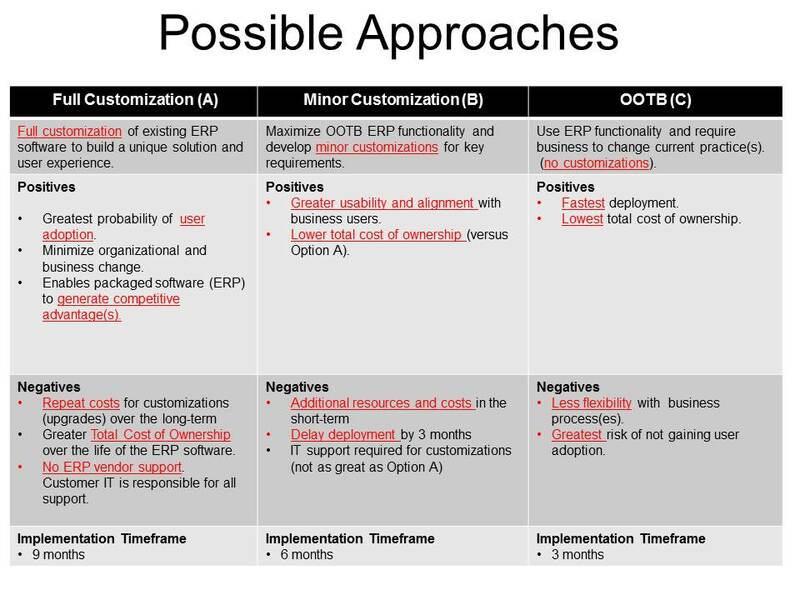 Once performed the IT organization can spend the time to evaluate viable options for greater ERP value generation. During my career as an ERP consultant, one of the key challenges I faced with every one of my customers was how to drive additional value from their ERP investment. As I did additional analysis, a common theme across my customers was that they did not realize the rapid deployment of new ERP functionality. Based upon my experience, I have identified the top three strategies that support long-term, rapid delivery from ERP. 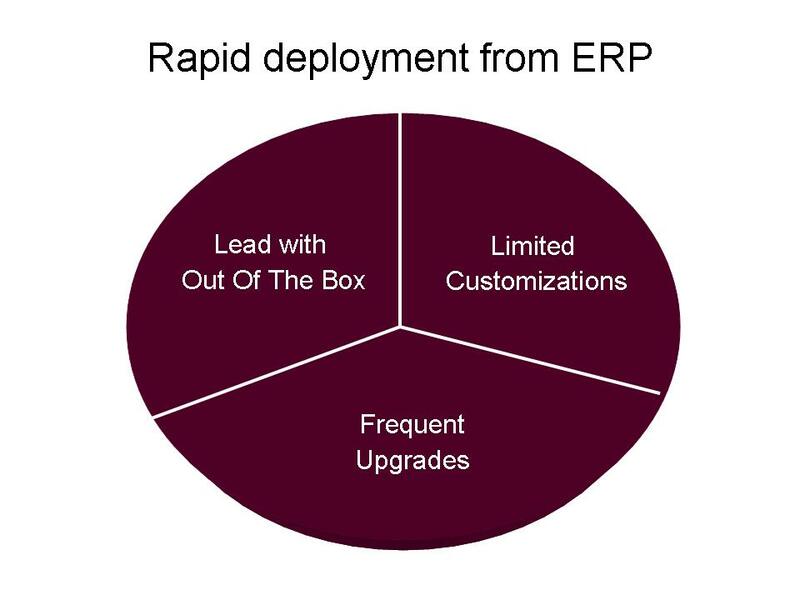 As seen from the illustration above the single largest driver for long-term, rapid delivery of addition value from a customer’s ERP investment is frequent upgrades. However, in the effort to address tactical business pain quickly IT organizations built customizations as quick fixes instead of allowing these opportunities to drive the value proposition for an ERP upgrade. It is important that the internal IT organization resist the temptation for a quick win and illuminate the IT roadmap that will provide the opportunity for greater value from their ERP investment. 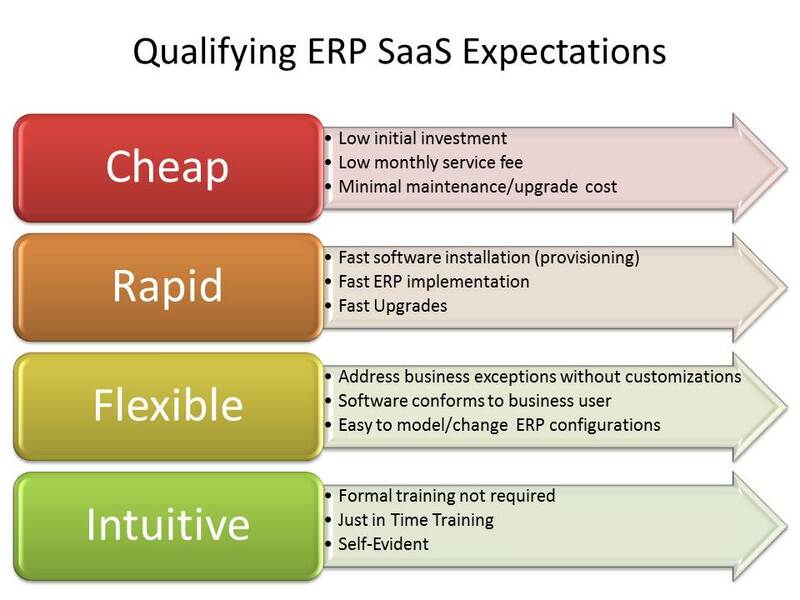 In the next section, we will briefly discuss the price to be paid if one uses ERP as a means to a quick fix. There is a price associated with every decision made. In the case of ERP, the short-term gains will eventually result in limiting your ERP strategy. ERP quick fixes are typically implemented as customizations. Customizations require a greater level of support from the customer’s IT organization (because ERP vendors do not support customizations). IT spends more time performing support activities (indirect business value) versus building new enhancements (direct business value). Second, customizations add to the upgrade effort. Third – and most important – performing quick fixes send a signal to customers that counters the basic value proposition of ERP (packaged) software. The price of ERP quick fixes may be small at first but they will have a compounding effect on the Total Cost of Ownership (TCO). Pain is the way our bodies (and organizations) communicate that something is wrong. It defines the gap between where we are and where we want to be. Effective root-cause analysis is the first step to correctly diagnoses the pain and identify viable solutions. ERP can play a positive or sometimes negative role in addressing business pains. The key to understand how to correctly apply ERP technology to transform business pains into opportunities for greater business value.